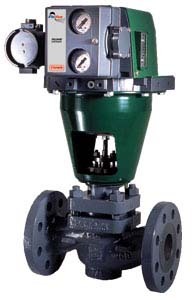 The FlowVue Final Control System offers the benefits of valve actuating technique and component mounting in process plant control environment. Fisher Rosemount Systems, P.O. Box 3064, Cedar Rapids, IA 52406. Tel: 515-7543011; Fax: 515-754-2830.